A special CBI court on Saturday sentenced Rashtriya Janata Dal (RJD) supremo Lalu Prasad Yadav to three and a half years in jail and imposed a fine of Rs 5 lakh after finding him guilty in a 21-year-old fodder scam case. 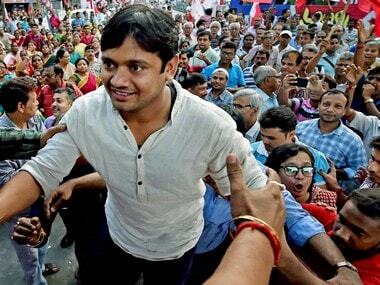 The court had convicted Yadav on 23 December, and announced the quantum of punishment two weeks later. While pronouncing the verdict, CBI judge Shiv Pal Singh remarked that an open jail is best for the convicts, as they have experience of 'cow farming,' ANI reported. The punishment was handed out to the 69-year-old leader through video-conferencing since the RJD leader is lodged in Birsa Munda Central Jail, CBI counsel Rakesh Prasad said. The counsel also said that a failure to pay a fine of Rs 5 lakh under the IPC would entail another six months in jail for him. Yadav had earlier sought minimum punishment, citing ill health and stating that he suffers from diabetes and has had a heart surgery as well. The court had convicted Yadav for offences of cheating with criminal conspiracy under the Indian Penal Code (IPC) and the Prevention of Corruption Act. The case against Yadav and 10 others pertains to the withdrawal of Rs 89.27 lakh from the Deogarh Treasury between 1990 and 1994, when he was chief minister of Bihar. Earlier, he was awarded five years imprisonment in 2013 in a case relating to fraudulent withdrawal of Rs 33.61 crore from the Chaibasa treasury. 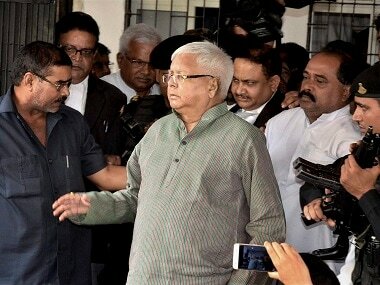 The RJD supremo was later granted bail by the Supreme Court. Yadav still faces another three fodder scam cases pertaining to illegal withdrawal of Rs 3.97 crore from the Dumka treasury, Rs 36 crore from the Chaibasa treasury and Rs 184 crore from the Doranda treasury. Besides Yadav, the court also heard arguments over RJD leader RK Rana, former IAS officers Phoolchand Singh, Mahesh Prasad, former government official Subir Bhattacharya, and suppliers/transporters Tripurari Mohan Prasad, Sushil Kumar Sinha, Sunil Kumar Sinha, Raja Ram Joshi, Sanjay Agarwal and Sunil Gandhi. The court had heard pre-sentencing arguments in alphabetical order against former IAS officer Beck Julius, Gopinath Das, RJD leader Jagdish Sharma, and transporter/suppliers Jyoti Kumar Jha and Krishna Kumar Prasad on Thursday. It then deferred announcing the punishment. On 23 December, the court had convicted all 16 accused in the fodder scam while acquitting six others, including former Bihar chief minister Jagannath Mishra. In 1996, the Patna High Court had ordered an inquiry into the fodder scam cases and a chargesheet in the Deogarh treasury case was filed against 38 people on 27 October, 1997. Eleven of them have since died and three turned approvers, while two other accused confessed and were convicted in 2006-07, a CBI official said. On 30 September, 2013, Yadav, Jagannath Mishra and several others had been convicted in another case pertaining to illegal withdrawal of Rs 37.7 crore from Chaibasa treasury in the early 1990s. The conviction on 23 December last is the second in the scam. Prasad's counsel Chittaranjan Sinha said his client would file an appeal next week against the verdict in the Jharkhand High Court. Reacting to the verdict, the BJP and its ally JD(U) said no one was above the law while the RJD claimed its leader fell prey to a "conspiracy" by Bihar Chief Minister Nitish Kumar and the saffron party. BJP leader Shahnawaz Hussain asserted that the verdict shows the law is equal for all. JD(U) Secretary General KC Tyagi said a new political chapter has begun with the court's decision and it means politicians will be afraid of committing any such wrongdoing. In Saturday's order, former chairman of the Public Accounts Committee Jagdish Sharma was sentenced to a prison term of seven years and fined Rs 20 lakh while RJD leader RK Rana was jailed for three and six months and fined Rs 10 lakh. Transporters/suppliers Tripurari Mohan Prasad got seven years imprisonment and Rs 10 lakh fine while Sushil Kumar Sinha was given three-and-a-half years in jail and a fine of Rs five lakh. Three former IAS officers — Beck Julius, Phoolchand Singh and Mahesh Prasad — were given a prison term of three-and-a-half years each. A fine of Rs 5 lakh was also imposed on each of them as well. Ex-government official, Krishna Kumar was handed down a seven-year prison term and a fine of Rs 20 lakh while another former government official Subir Bhattacharya was jailed for three years and six months besides a penalty of Rs 10 lakh. The other transporters/suppliers punished were Sunil Kumar Sinha (three-and-a-half years in prison and Rs 5 lakh fine), Raja Ram Joshi (three-and-a-half years jail and Rs 5 lakh penalty), Gopinath Das (seven years jail and Rs 10 lakh fine), Sanjay Agarwal (seven years jail and Rs 10 lakh fine), Jyoti Kumar Jha (seven years jail and Rs 10 lakh fine) and Sunil Gandhi (seven years jail and Rs 10 lakh fine).